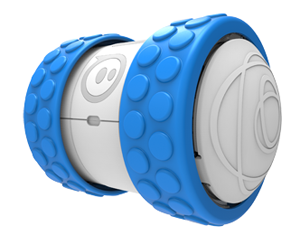 Ollie is an app-controlled robot that can roll at speeds of up to 14 mph. Drive Ollie via the Ollie app and command it to do tricks. Up the game by using apps to learn to code and programming Ollie to go where you want. Ollie connects to your device via Bluetooth with a range of up to 100 feet. Powered by USB charging, Ollie glows in millions of colors and is ready to roll out. Patrons must supply their own device. Ollie is iOS and Android compatible. Find more details on device compatibility here.